Bobo Norco just dropped his song “City Suspects” ft. The Game. 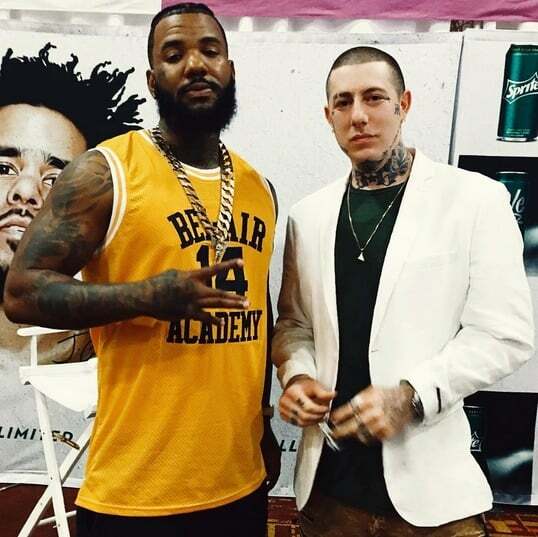 This the first time The Game has done a song with a white artist since “We Ain’t” ft. Eminem from Game’s debut album in 2005. Bobo Norco has been a popular name in the media this year. In January he made international headlines when screenshots were leaked of an alleged conversation with Molly O’Malia, a 14 year old singer who was known for texting with Tyga. The story was covered by BET, WorldStar Hip Hop, XXL Magazine, and tweeted by TMZ. In March Norco’s name was spread again in ThisIs50.com, Hip Hop Early, and Hip Hop DX when a photo of him was used as ammunition in a Twitter war between Katt Williams and another rapper. Norco ended speculation of having an issue with Katt in an exclusive interview with the InquisitR. And lastly in April Norco released the hit song “Special” ft. Wiz Khalifa and Wale. With all the media gossip aside Norco has just released “City Suspects” which the second single from his upcoming album, possibly titled “Hail Caesar”. “City Suspects” has a feature from another Bay Area artist, Kenyatta, and The Game. “City Suspects” is the second of several single releases from Norco’s album which has additional features from 2 Chainz, Future, T.I., Gucci Mane, Rich Homie Quan, Tory Lanez, and Young Thug. “City Suspects” is now available for download on iTunes.